Our Eco Friendly Flooring is a family business, based in CAPE TOWN and in SOMERSET WEST. We service the whole of the Western Cape with our vinyl flooring. 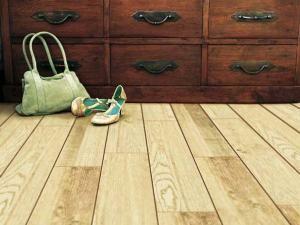 Our company is one of the premier wood & vinyl flooring companies covering the Western Cape. Our family is in the flooring business since 1960, both in the Netherlands and in South Africa. All educated and trained in the Netherlands by their father, who was a home decorator, specializing in home furnishings and a flooring contractor. Our expertise lies mainly in the PROJECT FLOORING for hospitals, hotels, offices and restaurants. But also in the RESIDENTIAL market. We supply and install all types of Vinyl’s, Cushion Vinyl’s, Linoleum’s and even Laminates and Wooden Flooring. We supply and install authentic innovative dynamic flooring tiles, who take great pride as a premium supplier of sustainable vinyl flooring solutions to both residential and commercial environments. As a member of the SAWLFA (South African Wood, Laminate and Flooring Association), the Green Building Councils ‘Green Builder’ flooring product range and the use of Nano Silver technology application, we deliver a flooring product which ensures a very easy cleaning of the floors. We deliver flooring that captures beauty, healthy and elegance of natural looking wood without impacting on the sustainability of our living forests. Vinyl Plank Flooring – We have our own trained staff that are fully qualified tradesmen that have a wealth of knowledge of vinyl, laminates and wood flooring’s. We have over 30 years of experience in South Africa alone. Installs our product on wood or cement surface but might have to screed the floors to a smooth finish before the installation of the planks. After installing the floor planks, we can silicone against the skirting s and doorways if applicable. Eco Friendly Flooring uses the most efficient glue and preparation materials available. We stock Glue Down Vinyl Planks and Click Vinyl Planks. Our long-time experience in the flooring business will help you in receiving an excellent job and made it possible for us to do this for an affordable price. With warranties of up to 20 years our Vinyl Flooring products are the next generation flooring solution for all your floors. For our full PRODUCT RANGE, please click here. Our sales team sales team is passionate and committed in assisting our clients with all their vinyl and flooring needs. They are able to offer great advice to give you the perfect solution for your floors. We give expert advice on type, finish and color schemes to suite your requirements. Our offices are in Pinelands, Cape Town and in Firlands, Somerset West. We have professional in-house trained staff.